Be inspired! 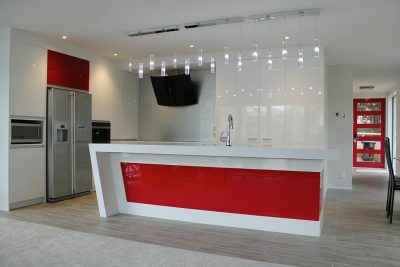 Check out the latest from our kitchen design showcase. 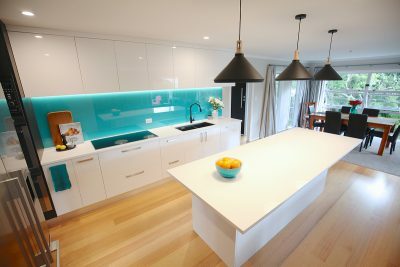 A selection of our favourite kitchen designs from various renovation and new build projects around Auckland. A lovely combination of traditional, ornate colonial styling has combined with new materials and manufacturing techniques to produce a seamless end result. When the sun is shining in Farm Cove this kitchen & family room takes full advantage. 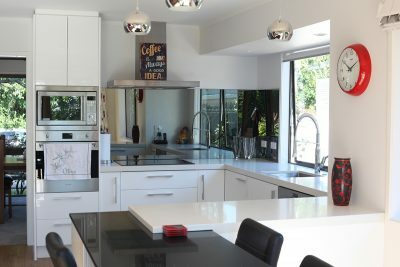 Opting for the White Gloss thermoform Dezignatek doors with Stone tops - 50mm Primestone Cardrona (white), helps to enhance this sun-filled environment. 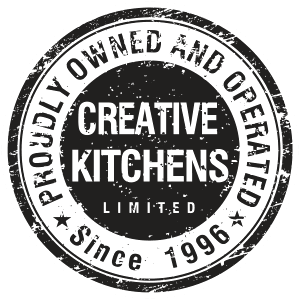 Creative Kitchens stepped up and took on more than just the kitchen with this major overhaul in Orakei. 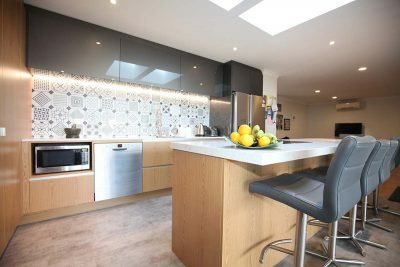 With an eye for detail, the owner's were passionate about creating a highly detailed, functional design with a high spec kitchen that would give a consistent feel throughout the living areas. 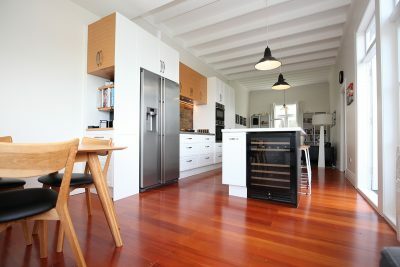 We renovated the kitchen to centralise the kitchen between the family and dining areas in this stunning character home with great views over Mt Eden from the kitchen and corner window seating. 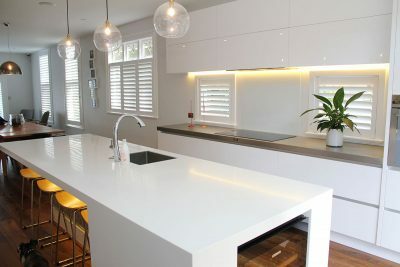 This truly unique kitchen renovation in Clevedon features a perfectly integrated combination of materials, colours and finishes to produce a stunning result. 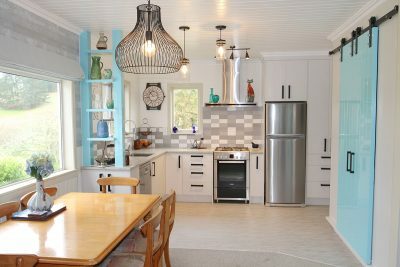 Mandy and Tui's home is an older character property on a lifestyle block in Kaukapakapa. 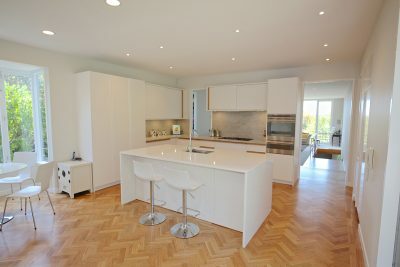 They were looking at doing a renovation of the kitchen/dining area which was looking very tired and dated. 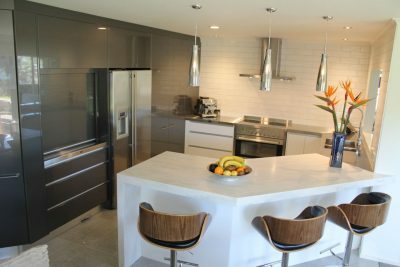 This large-scale kitchen renovation features two-toned lacquer with satin finish, and uses a framed Routertek-styled door from Dezignatek. 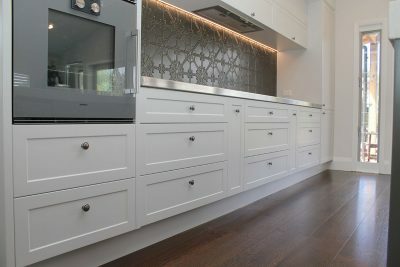 This elegant kitchen remodel by Creative Kitchens was undertaken as part of a major renovation in Auckland's Mt Eden recently. 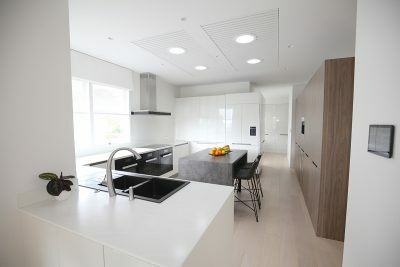 After constructing a new home in Blockhouse Bay, the client wanted to have a kitchen that matched the modern building in both functionality and appearance. 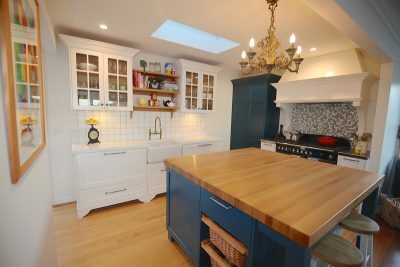 Your kitchen could be our next next success story!